“THE TRAVELERS” part two! Booster Gold’s wedding present has screwed up Batman’s past, and done even more damage to his present. Now, with the Caped Crusader himself refusing to cooperate, the only way for Booster to correct this runaway timeline is to get Catwoman on his side. 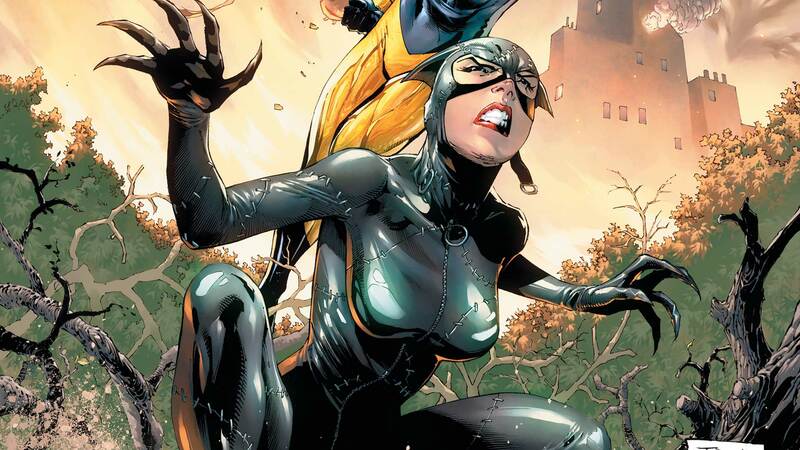 But with her own past altered, can he make Catwoman recognize the qualities in her husband-to-be that brought them together in the first place? Plus, if Batman isn’t doing his job, Gotham City may become way more dangerous than our bumbling time-traveler might be ready for.